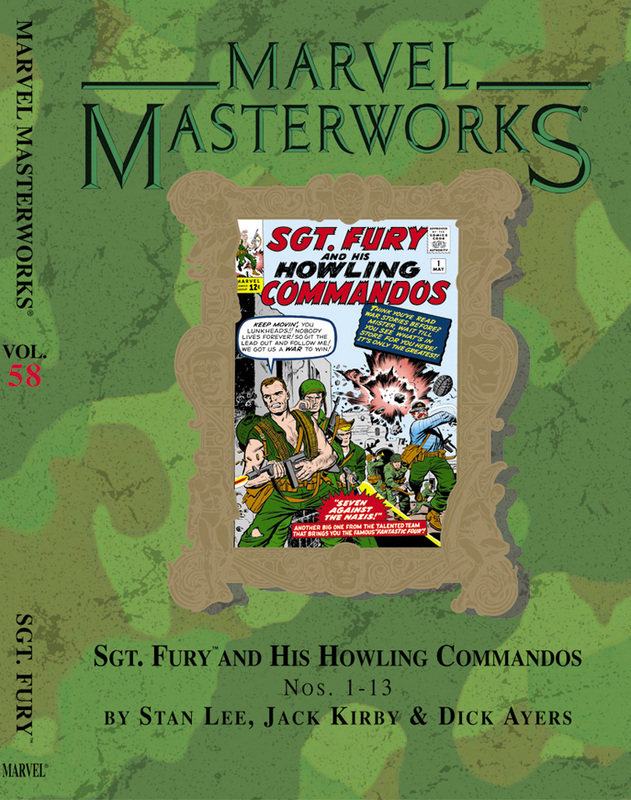 It’s time for Marvel’s first-ever war Masterworks with tales of Sgt. 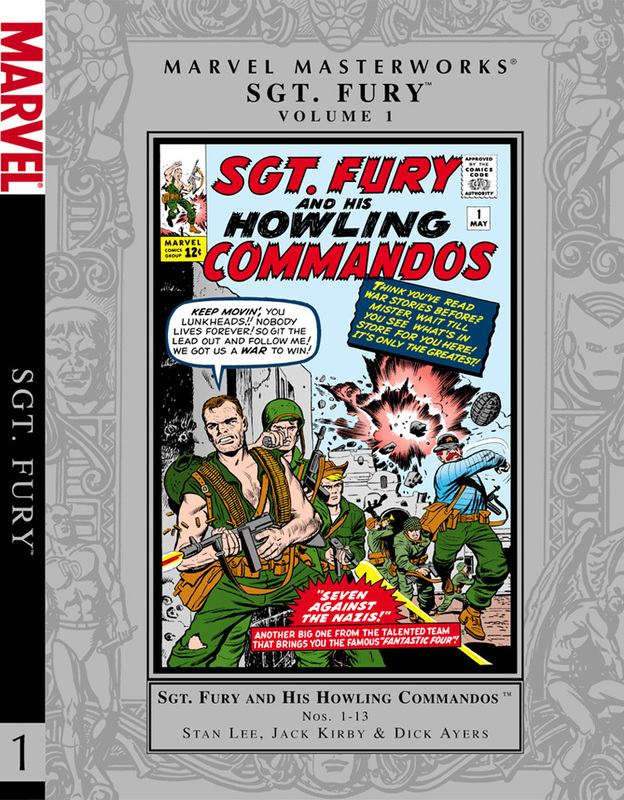 Nick Fury and his Howlin’ Commandos in thick of ol’ WWII! And for the icing on the cake, it’s a titanic team-up of the mighty talents of Sgt. 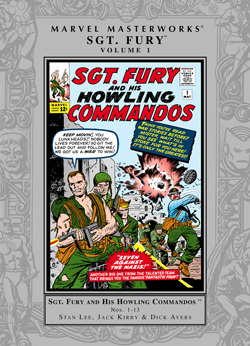 Stan Lee and Infantryman Jack Kirby! That’s a pair storytellers so explosive you better make sure you keep your lid on when you read this one, soldier! 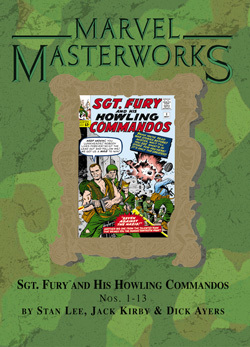 Prepare yourself for drama, intrigue, humor and action galore as Fury, Dum Dum Dugan and the rest of the Howlers battle more Nazis than you can shake a bayonet at, team-up with Captain America and Bucky, battle the nefarious Baron Strucker and Zemo, and set out to capture Adolf Hitler himself! With a pedigree like that, get off your duff and reserve your copy today, goldbrick! That’s an order!